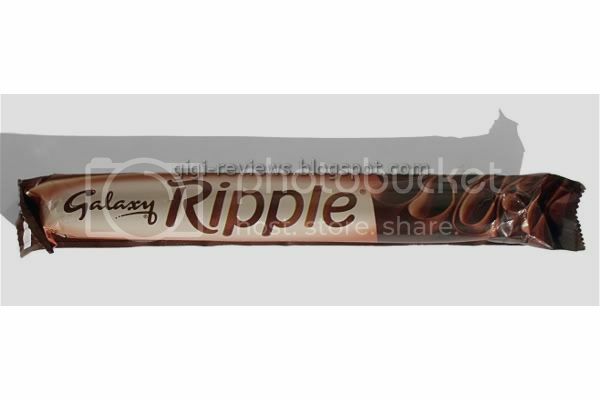 We are going to end Brit Week with the bar I was most looking forward to trying: the Galaxy Ripple. Galaxy is Mars's U.K. version of Dove chocolate. And I have a soft spot for Dove. This bar also has the major appeal of being a flake-style bar. So to break this down, not only does it have the potential to have a milk chocolate that I really like, but it also has a texture I love in a bar...yeah, this could be awesome. 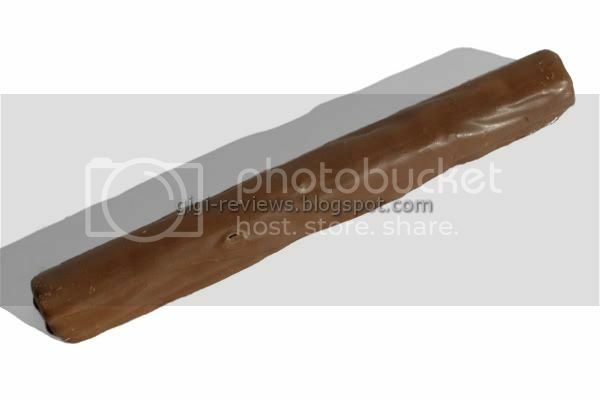 The long thin finger of a bar has a pale chocolate color to it. It's actually about the color of weak chocolate milk.) 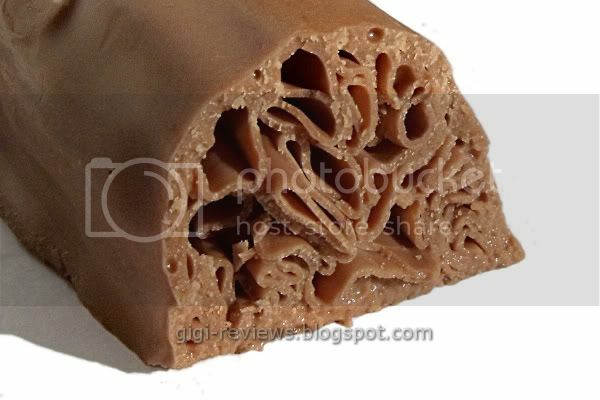 And unlike the Cadbury Flake bar I reviewed a few days ago, it has a thin layer of enrobed milk chocolate covering the chocolate dandruff flakes. (I liked that term so much I am plagiarizing myself.) Cadbury also has a version of the Flake bar that's enrobed, and yes, I do have it and I will be reviewing it. I just didn't want to do a third review of such a similar product in so short a span of time. In terms of taste, the chocolate does indeed taste exactly like its American counterpart. It's very rich. There is strong taste of milk. The melt is thick and fatty. There is just enough of a cocoa note that you don't start to wonder where the actual chocolate is, but it's not the most assertive bar in the world. All in all, I am going to agree with Jim's review that he did "back in the day." It's not the bestest bar ever, but I wouldn't call it bad by a long shot. Labels: Candy, Chocolate, Galaxy, Imported, Imported Candy, MArs, Milk Chocolate, U.K.
Mmm... I love Dove chocolate as well. Unfortunately, we only get it as ice-cream coating here (damn good ice-cream, especially the Triple Chocolate). So if I ever come across this, I'll certainly give it a try. By the way, Milka had something like this a year ago, they were a Christmas Edition and they were shorter (I see you don't allow links so I'll just tell you to google for Milka Exklusive Borkenschokolade Minis). Those were pretty interesting as well. Not great, but they weren't bad either.